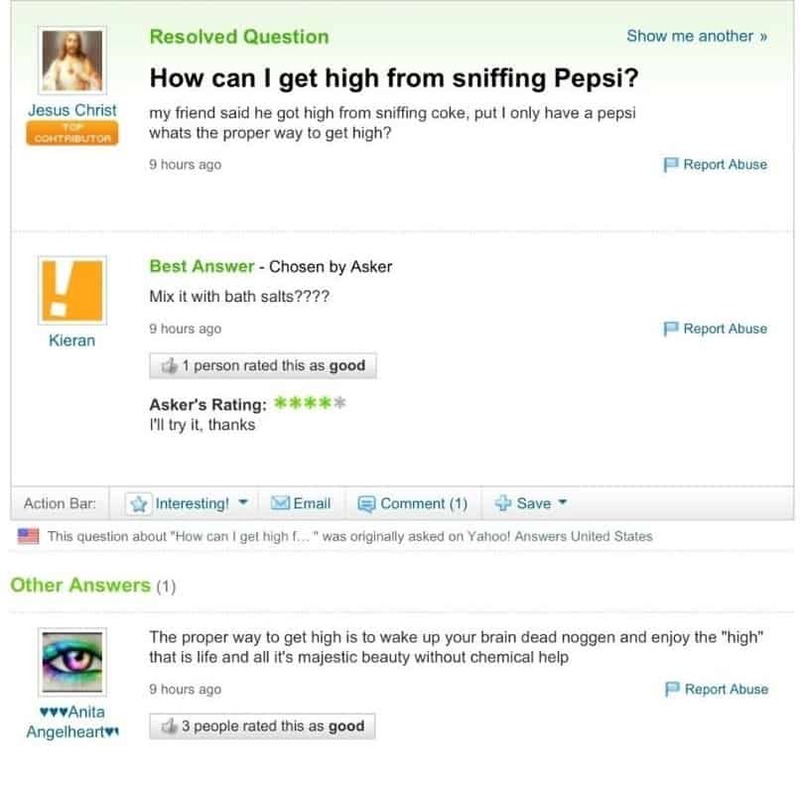 This poor individual does not know the difference between Coca Cola and another similar sounding product that is ingested nasally. 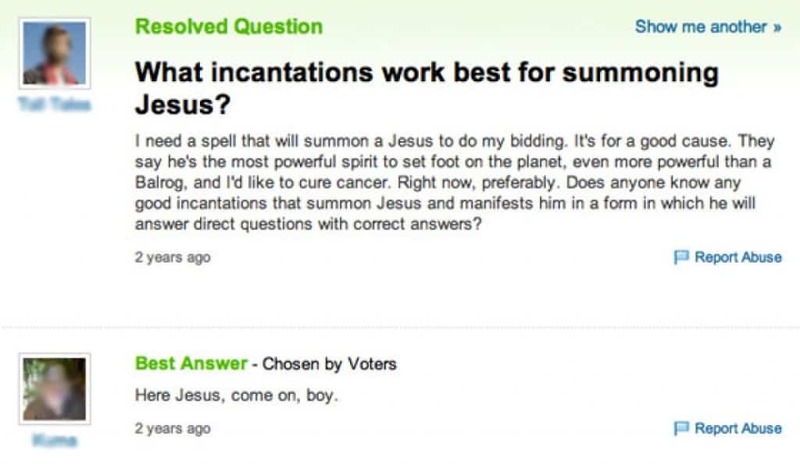 The answer to the question is just as hilarious as the question itself. This person has clearly never heard of films or fiction. Messing with such people becomes just too easy after a point, doesn’t it? This guy is describing a situation most guys have found themselves in at some point in their life. The answer provided however is the real winner in this situation. 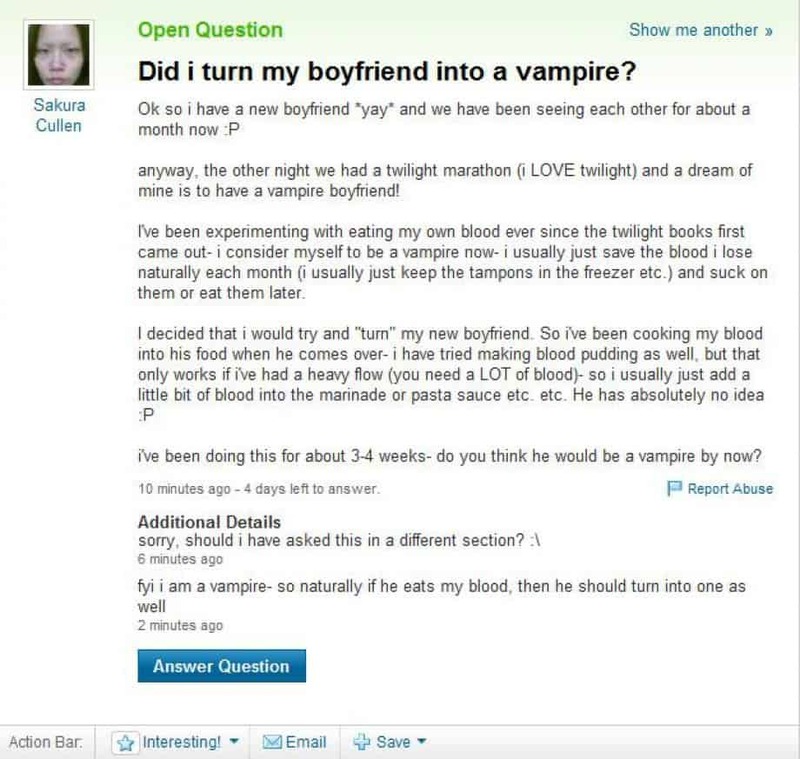 This person undoubtedly wins the award for worst question of all time on Yahoo. If being ignorant was a crime, this person would have a life sentence. 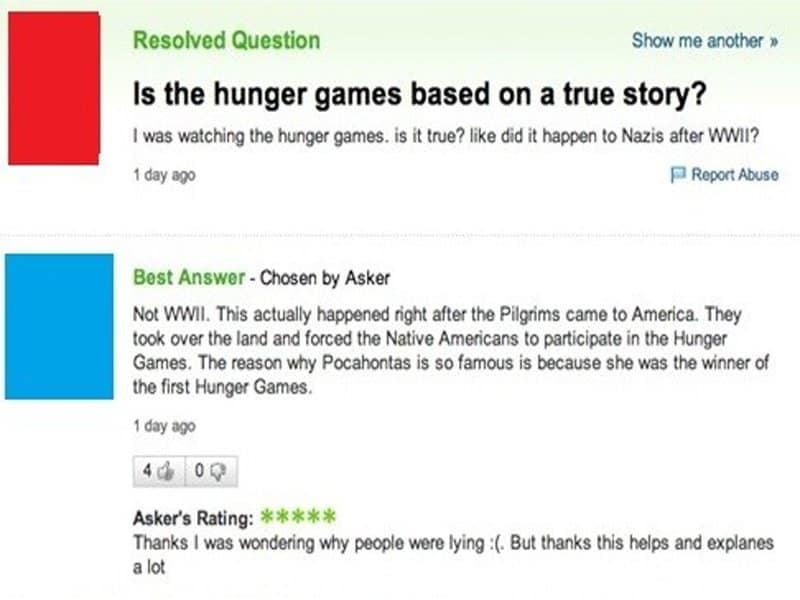 The question for the ages finally gets the answer it deserves! This dog owner seems to be infatuated with his pet which isn’t necessarily a bad thing. What happens though when the love becomes uncontrollable? 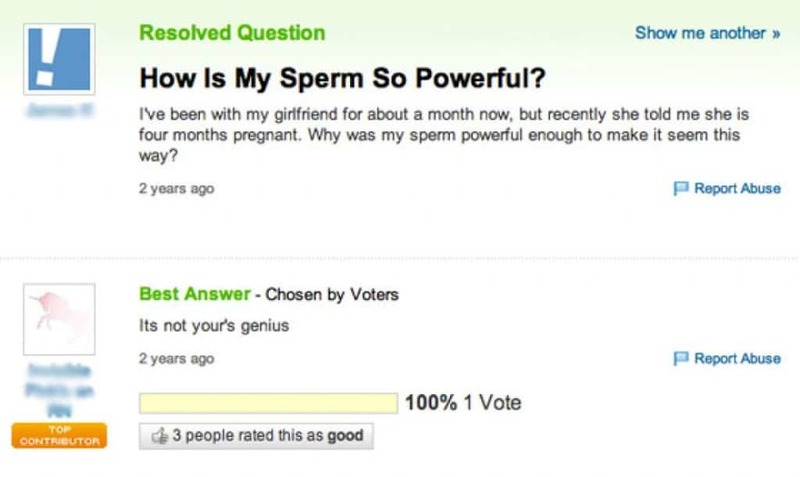 You know what they say; ask a stupid question, get a stupid answer! 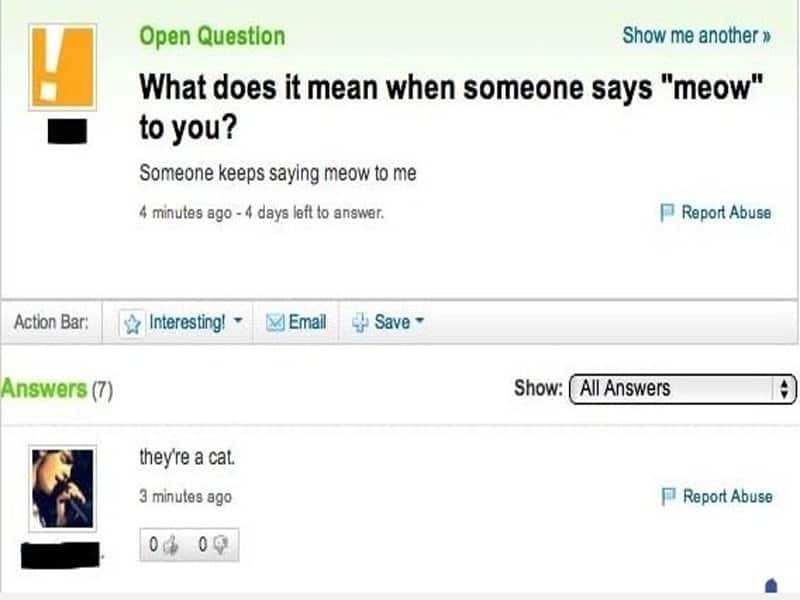 When someone says Meow, it could mean that you are being catty or you are looking good. 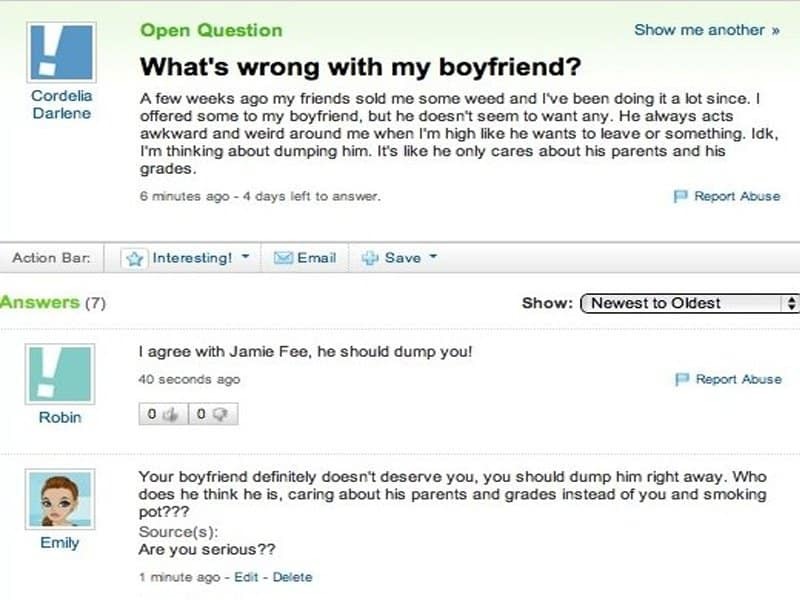 Asking this question on Yahoo, though, means that you are looking for trouble. 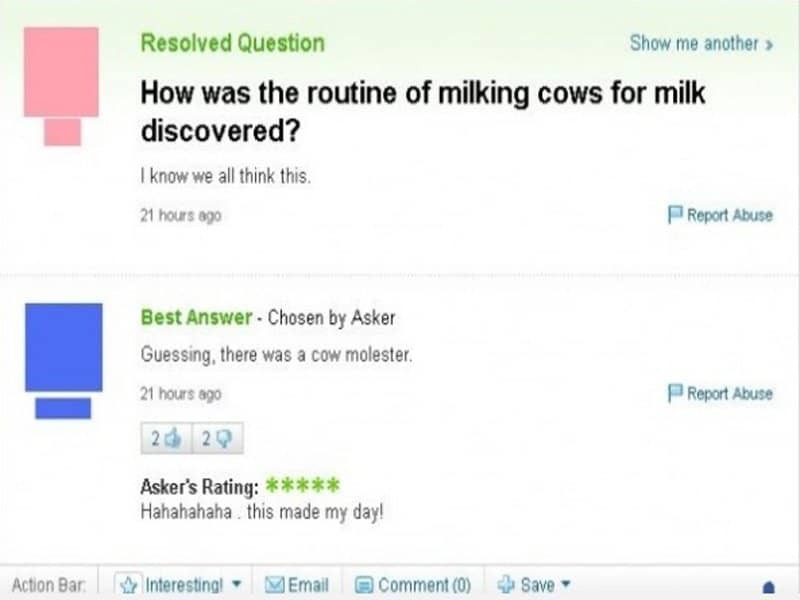 This has got to be one of the most random questions of all time. 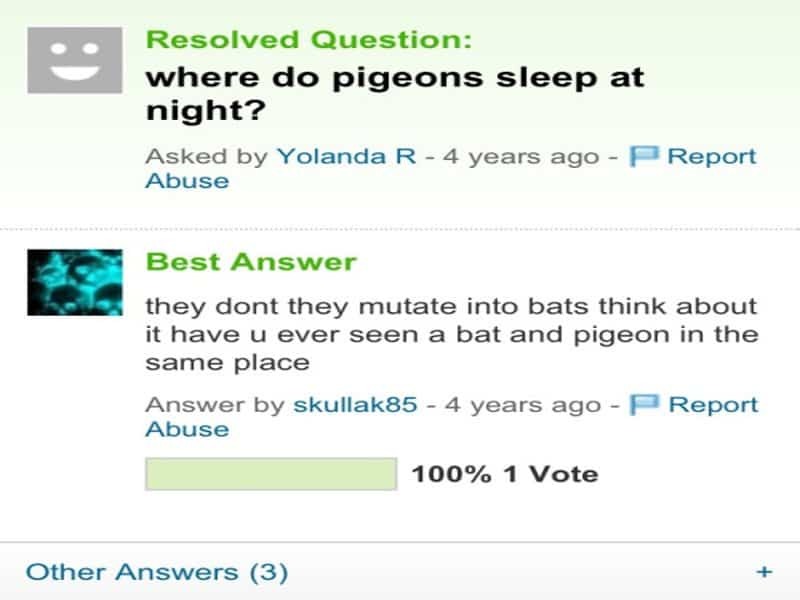 Wondering about pigeons and caring enough to post a question on Yahoo does not speak well about a person. The internet allows anonymity to thrive which is why a lot of people let go of their filters while asking questions on Yahoo. This question is a perfect example of politically incorrect questions. 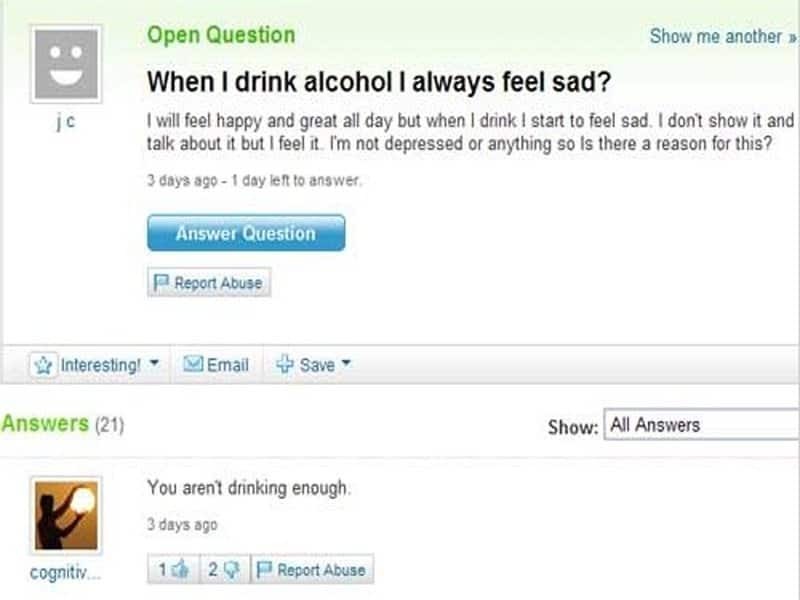 Alcohol does a lot of strange things to people and one of its many side effects is feeling sad. Taking a problem this personal to the internet is not necessarily the best idea and the answer provided proves exactly why that is. This is a rather smart question that received an equally witty response. 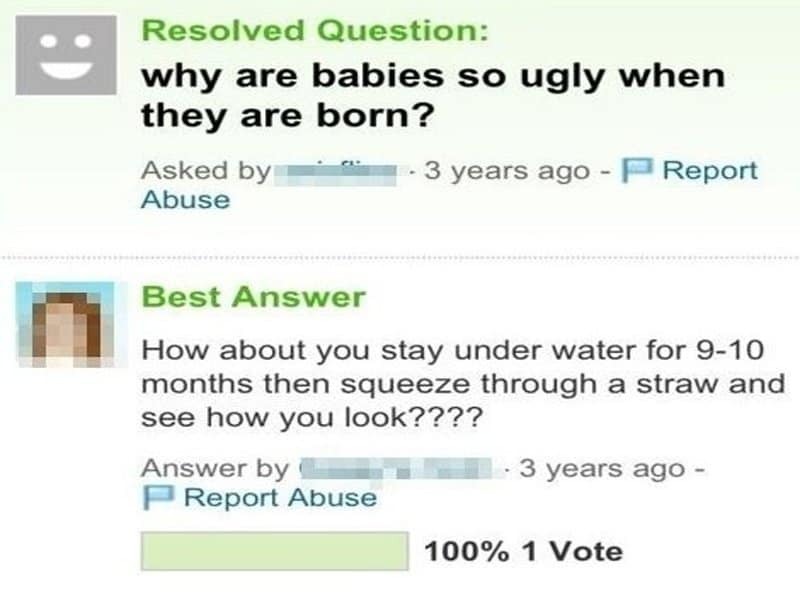 The question is clearly too deep to be discussed on a forum like Yahoo answers. 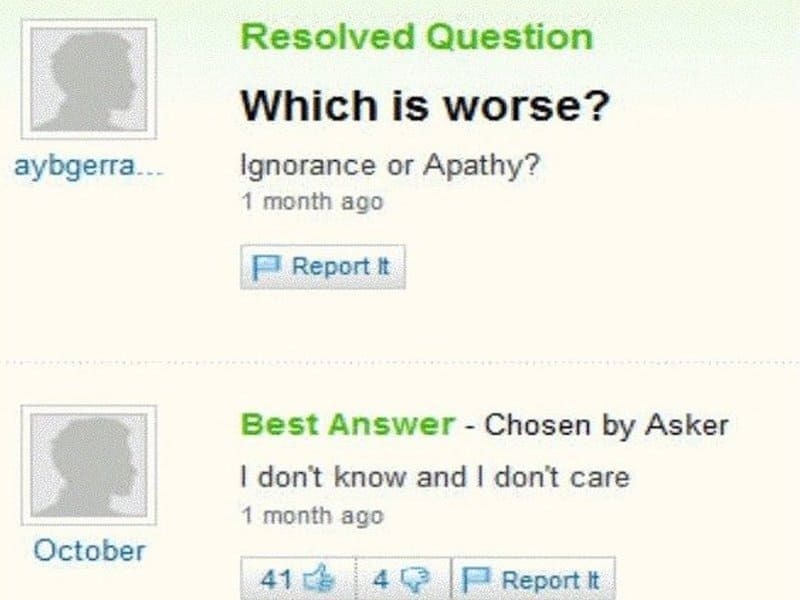 The internet is not fond of stupid questions and people love to jump on the first person to say something ignorant. 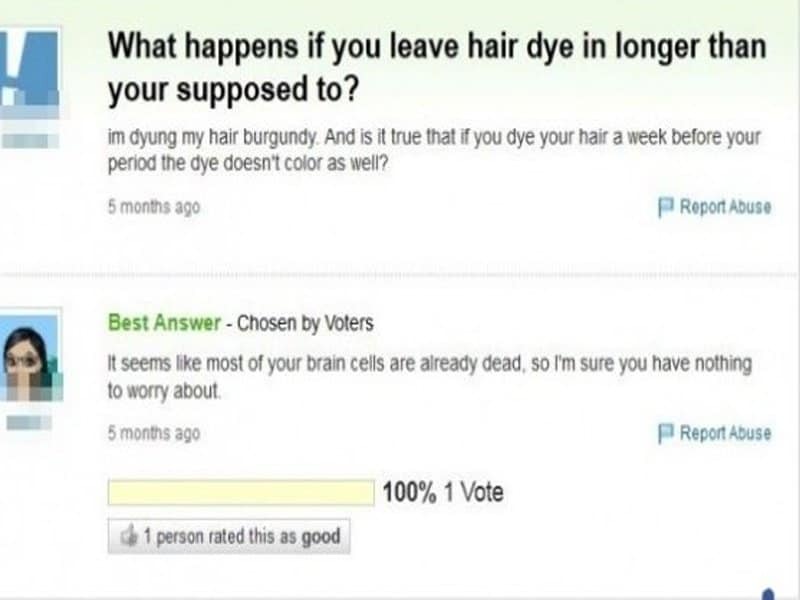 This woman clearly has many questions about dying her hair but she is not going to find answers on Yahoo. 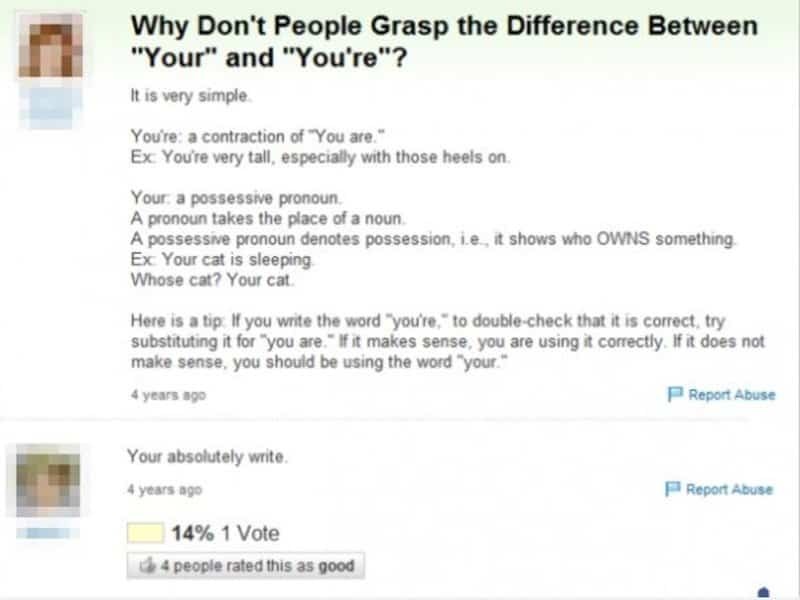 This person is clearly tired of seeing people repeat simple grammatical mistakes on the internet. 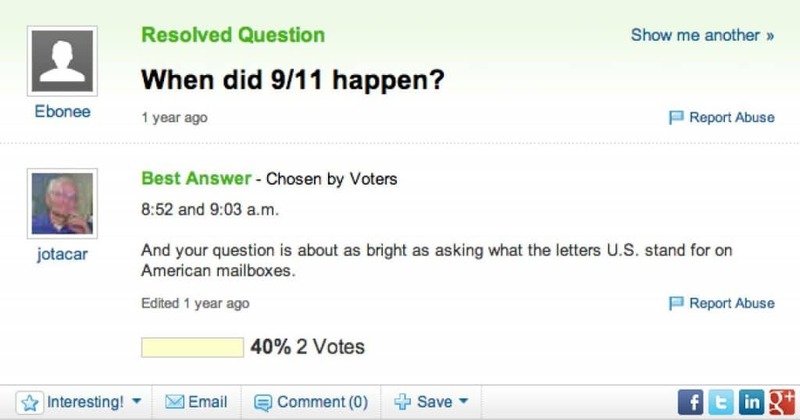 The answer he received must have pushed him over the edge. The first chance people get to pick at your fears, they will take it. 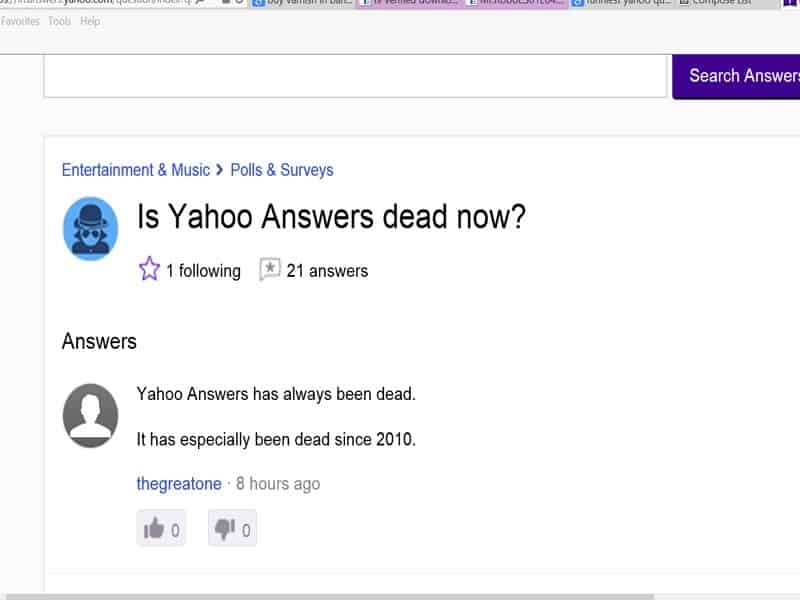 Remember this the next time you ask for help on Yahoo. Every girl comes to a point in her life where she has to make a call regarding being around her boyfriend or smoking pot. 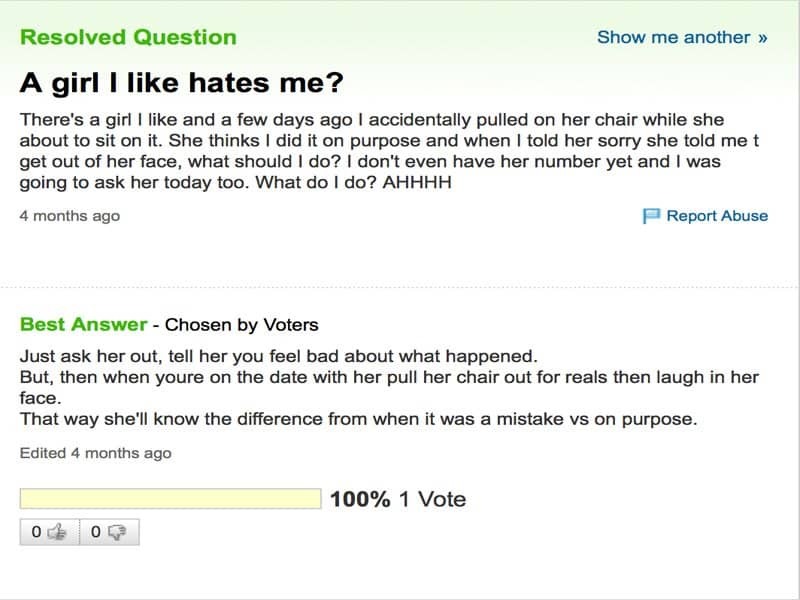 Well not every girl, but this one did and the reactions were equally bizarre. I wonder how many people around the world must have gotten seriously offended after reading this question. 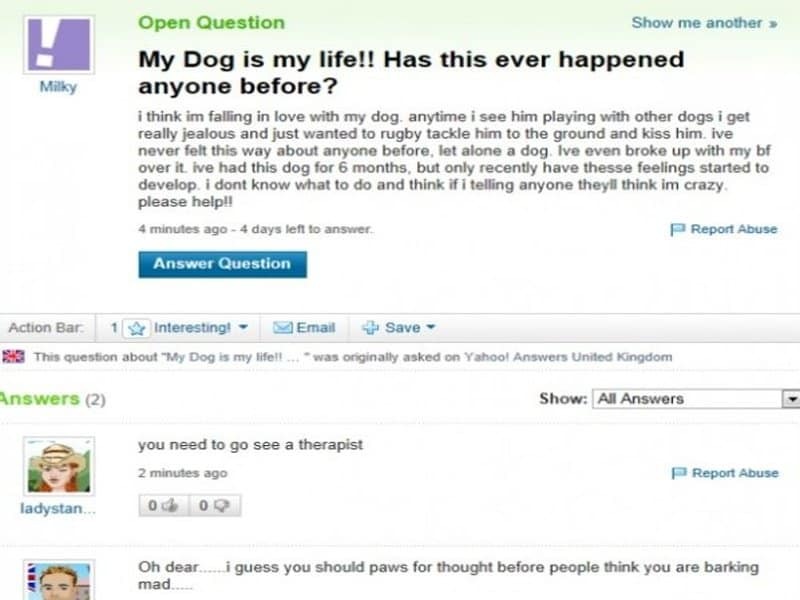 This horrifying question was long and detailed but it was too absurd to receive an answer, even on Yahoo! 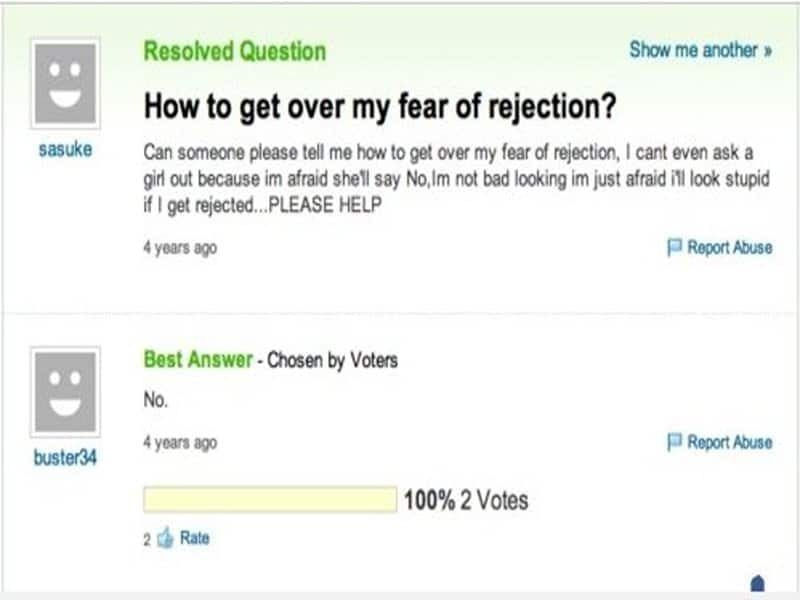 This man seems to be awfully sure about his own capabilities until someone answered on Yahoo and burst his bubble. 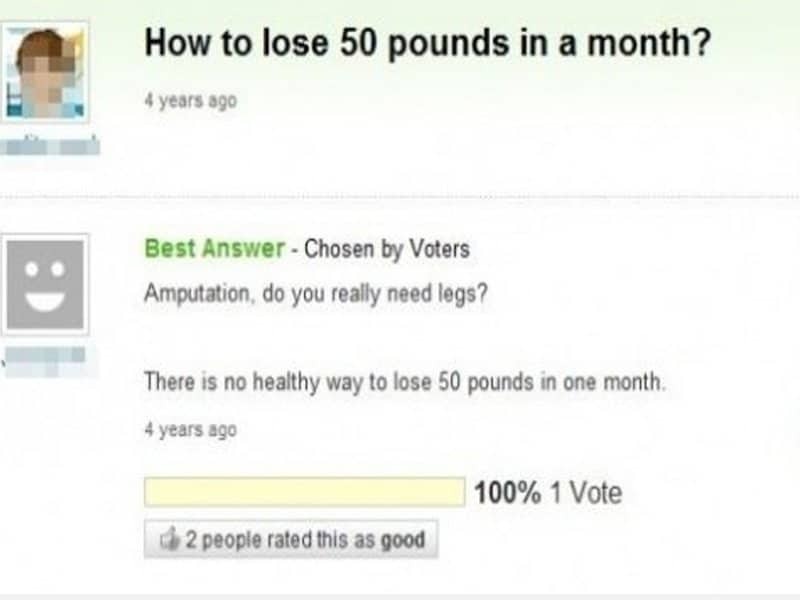 This is probably one of the most relevant discussions to have ever taken place on Yahoo Answers.